Entrepreneur and best-selling author of The Lean Startup, Eric Ries reveals how entrepreneurial principles can be used by businesses of all kinds, ranging from established companies to early-stage startups, to grow revenues, drive innovation, and transform themselves into truly modern organizations, poised to take advantage of the enormous opportunities of the 21st century. 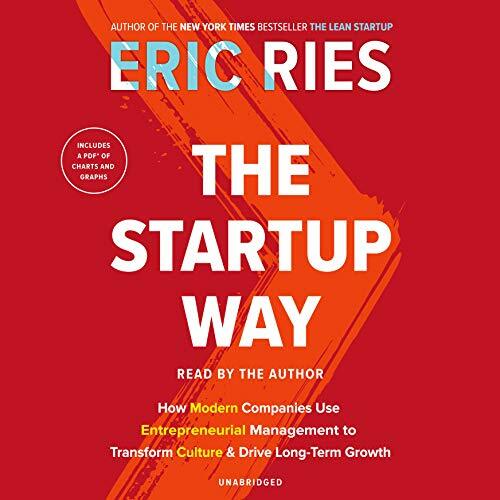 In The Lean Startup, Eric Ries laid out the practices of successful startups - building a minimal viable product, customer-focused and scientific testing based on a build-measure-learn method of continuous innovation, and deciding whether to persevere or pivot. 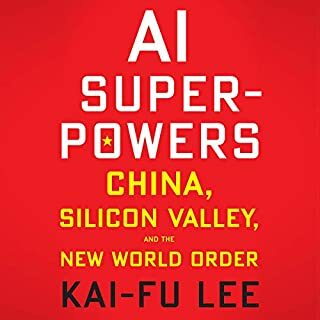 In The Startup Way, he turns his attention to an entirely new group of organizations: established enterprises like iconic multinationals GE and Toyota, tech titans like Amazon and Facebook, and the next generation of Silicon Valley upstarts like Airbnb and Twilio. 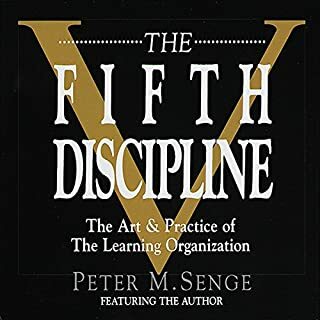 Drawing on his experiences over the past five years working with these organizations as well as nonprofits, NGOs, and governments, Ries lays out a system of entrepreneurial management that leads organizations of all sizes and from every industry to sustainable growth and long-term impact. 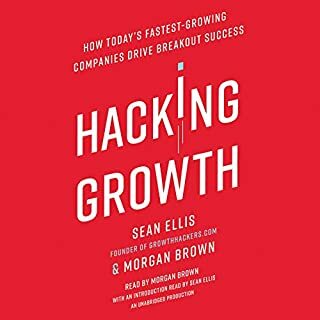 Filled with in-the-field stories, insights, and tools, The Startup Way is an essential road map for any organization navigating the uncertain waters of the century ahead. 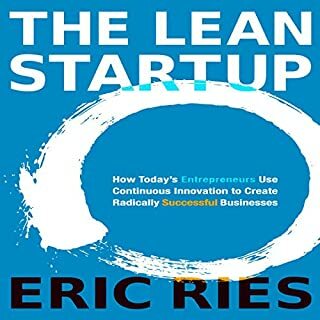 I totally loved Ries previous book &quot;The Lean Startup&quot; and highly recommend it. This is an attempt to have a sequel, but with very different results. The basic idea of this book is - how do we implement Lean-Startup methods at the corporate environment. That's an interesting and important topic. But Ries never really did that and does not seem to be competent to do that. He assisted GE in their attempt as an outsider consultant, which is probably a great honor, highly interesting, and of great learning value. But, it is very far from his vast personal experience and community experience in startups. At some points it is getting really awkward. E.g. he is telling about some hospital that have not been able to run their working inventory, they went to Toyota in Japan to learn and now they have this great new system called the “two bins inventory”. Well, this would have been funny if told as a joke in any manufacturing forum. “Two Bin Inventory Control” is the most basic method of keeping an inventory; it was implemented in a factory I was working for at least 25 years ago and was taught in university level inventory management at about the same time. This is not innovative or original, unless you see reading ‘the book’ and implementing the basics as innovative. Another, maybe a lot more important example is his recurring attacks on the Stage-Gate system, which Ries somehow conceive as an enemy. 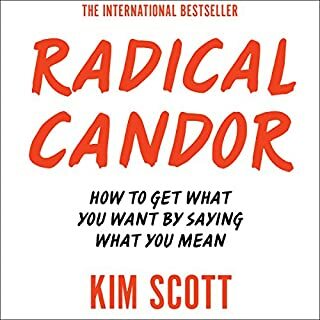 It seems to me he did not really delve into the Stage-Gate methods of working and I would recommend some reading some about theory and practice before saying things that has little to do with reality. I would start with “Winning at New Products” by Cooper. At some point Ries is saying “this is not like a stage-gate system bla-bla..” and then describes his recommended method, which is basically the same as the method recommended by Cooper (I did not find any significant difference). I believe Ries just found out about Stage-Gate from people who did not understand and implement it properly. Well, when you don’t implement the basic methods, it does not make you a success and it does not make the methods wrong. BTW, I believe there is not contredition whatsoever between Stage-Gate and Lean-Startup ways. They should be integrated and implemented side-by-side. Stage-Gate is a strategic method; Lean-Startup is tactical. 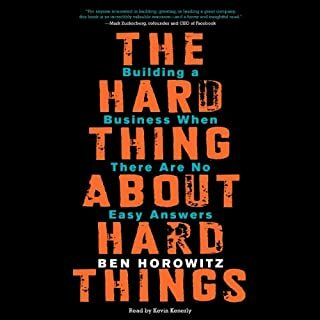 One chapter that seemed very important but really far from exhausting was chapter 9 (or 11 in the audiobook) about Innovation Accounting. The basic understandings were there, but the real explanation about how to implement Innovation Accounting was about 5 minutes long and all the examples were relevant mostly for web-based software. This is not the way to deal with such an important issue, as Ries describes it. The awesome thing about accounting is that you can implement it almost the same way to any kind of industry and business. Sorry, I did not understand how you can implement the Innovation Accounting to medical devices, engines, or virtually any other manufacturing industry (BTW, GE has both Medical Devices and Engines, so Ries should have some examples in those areas after working with them for a while). 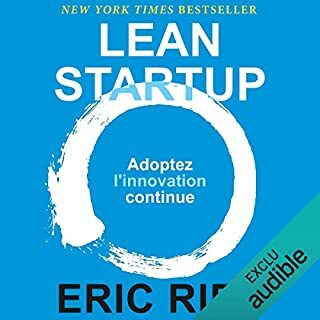 Finally, Ries took the opportunity to also add many ideas that he is playing with, that are very far from the basic idea of implementing Lean-Startup methods at the corporate environment. That’s his right to put in irrelevant stuff, and my right to say he should have had a mightier editor. 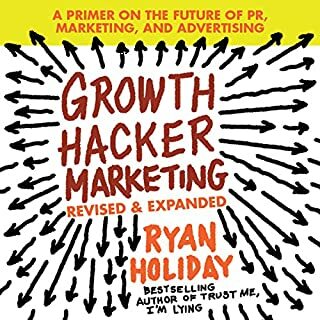 I summary, worth a critical reading and some methods will probably propagate to the industry. 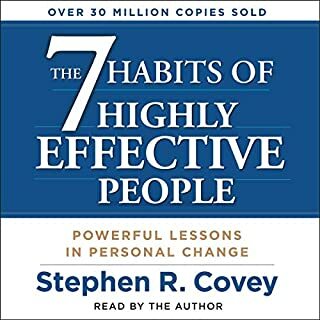 And I hope a few years down the road a second edition of this book will be written together with one or more manufacturing/corporate savvies who really implemented in the relevant environment. 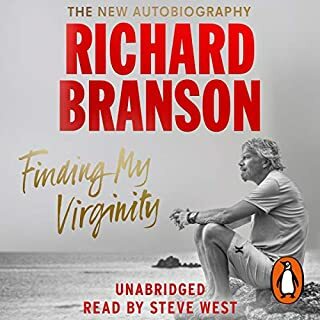 I enjoyed this audiobook a great deal. Don’t miss understand that. I do believe this could’ve been done in five hours as opposed to 10 hours. There was a lot of, I’ll call it, reinforcement. Where do I find the PDFs? It's not in the description, also not on the website. For a lot of people The Lean Startup was revolutionary. If you're hoping for something like that here you'll be disapointed. I can't really say that I took much away from reading this. Mostly concepts and ideas I already knew. 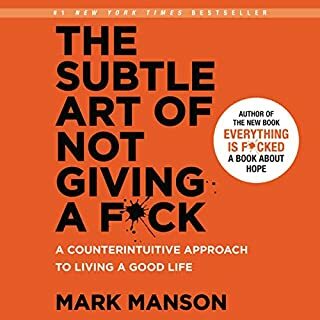 It looks like this book is just not for me. 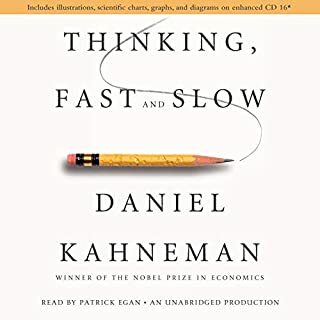 Too much information, out of which the most important information is (in my opinion) the same/similar idea from "The Lean Startup". 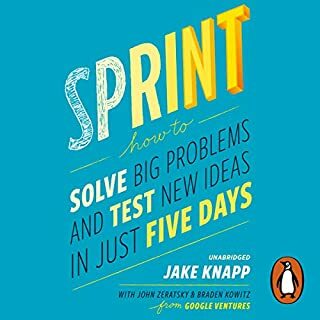 Unlike the lean startup which I think can be very very useful for even new graduates, and has some radical new thinking and ideas which was extremly interesting to see, this one was just too boring for me personally. 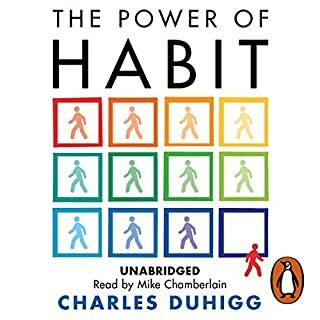 It may be valuable for some CEO/Senior Leadership/Manager, but I was barely able to finish it. 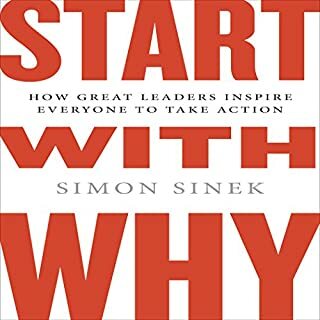 this book does a good job of taking the core lessons from the first book and extrapolating them into a continuous program of innovation either within an established firm or a startup seeking to scale up. 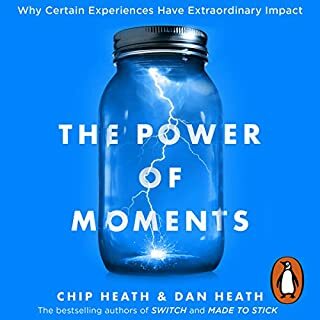 If you liked Eric Ries’s other books or related topics, you will love this audiobook. 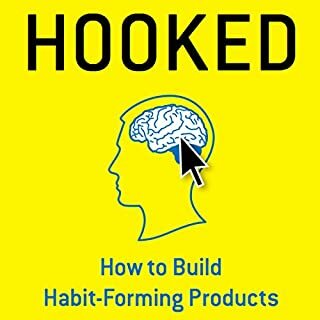 Lots of actionable advice and real world examples of why, how and what can work when thinking about startups (and what does not). A number of topics are covered from the perspective of the founder, investor, legal, human resource, information technology, politician, regulator, government agency, big corporation, business owner and baseline employee among others. The author keep citing a PDF with more, but you can’t find it anywhere in the app — this really frustrates you because you’re clearly missing an important piece of information. If that’s Audible limitation, then Audible is only good for stories without maps or charts. 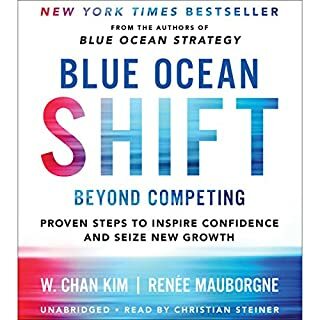 Some of this book is very on target and has some good point about how to do lean inside large organizations. However, far too much of the book has inserted leftwing political dribble woven into it. Fast forward through these parts and the book will provide more value. Um die ein oder andere Kritik an dem Buch auf zu greifen. Ja das was er hier erläutert hat man oft schon iwo gelesen und es ist auch ein nicht kleiner Teil mit Infos aus seinem ersten Buch. Ich finde Eric Ries hat es in diesem Buch jedoch geschafft all die kleinen bzw großen Ideen, die man hier und dort schon einmal gelesen/gehört hat, in ein durchdachtes Gebilde zu gießen. Man darf sich das ganze weniger als ein Regelwerk vorstellen als eine gelenkte Führung durch die Idee hinter seiner Theorie. Diese Theorie nimmt er dabei nicht für sich in Begriff sondern zeigt anhand der vielen Beispiele, dass die Theorie eigentlich gesunder Menschenverstand ist. Also nicht wundern wenn ihr das Hör-/Buch zur Seite legt und euch denkt da hätte ich auch selbst drauf kommen können. Ja hätte man und sind es auch einige mehr neben Eric Ries, aber wie so oft im Leben ist er sehr nützlich eine Theorie anhand einer guten Aufbereitung und interessanten Beispielen zu erlernen. Das erlernen beschränkt sich bei dieser Materie natürlich nicht nur auf Theorie, sondern muss auch praktisch erfahren werden. Zu beidem wird man hier auch motiviert. Da es mir persönlich doch etwas viel schon bekannte Theorie war habe ich einen Stern abgezogen. Trotzdem klare Empfehlung! Kontinuierliche Transformation ist sozusagen der neue kategorische Imperativ der Business Welt. Wie das geht und wie man sich als Unternehmen in die Lage versetzt dieses zu leisten beschreibt Ries in einem ganzheitlichen Ansatz - grandios, Mit jeder Menge Praxis-Beispielen aus der echten Welt. Endlich ein Werk in dem die Zusammenhänge zwischen Innovation, digitaler Transformation und Organisationsentwicklung klar umrissen und in eine Struktur gegossen werden. Meiner Meinung nach sicherlich eines der wichtigsten Business Bücher dieses Jahres- Bis zum letzten Wort.